On Thursday Jurgen Klopp confirmed what every Liverpool fan already suspected, when he suggested that psychology played a significant role in Daniel Sturridge’s injury woes. “He needs to understand what is just pain and what is serious pain”. His words were delivered with a matter-of-fact tone that belied the seriousness of the situation facing Sturridge. When he arrived at Anfield Brendan Rodgers said it could be his last chance at a big club. Since then it has been a case of feast of famine for the striker. While his goal to game ratio in a red shirt is impressive; there have been far too few games for most Red’s liking. The latest setback has left most of us wondering whether Daniel is too brittle to reach his full potential. This may well be his final round in the last chance saloon. Of course we may be a little unfair here. All players endure spells on the sidelines, but some seem to have an uncanny capacity to stay clear of the treatment room or fight through the pain. In no particular order, here are five all time greats who can also claim to be among the most resilient to ever wear a red shirt. Carra played 737 games in 16 years. He is second only to Ian Callaghan in the clubs all time appearance charts. He also holds the record for the most appearances in Europe. Jamie famously wanted to run off a broken leg, after a terrible foul by Lucas Neil, in a game against Blackburn Rovers in 2003. He was an almost ever present for The Reds during a period that saw the team rise to number one in the UEFA rankings. It was a period that culminated in the greatest European Cup Final of all time. During the closing stages of this match Carragher fought through intense pain to keep his side in the game. As waves of cramp gripped his muscles, the Bootle born legend threw himself into one game saving tackle after another. His contribution was undoubtedly every bit as important as the goals scored that night. Sadly Gerry Byrne passed away on the 28th November 2015. He was one of Shankly’s boys and managed a total of 333 appearances for the club. His most famous was the 1965 FA Cup Final. 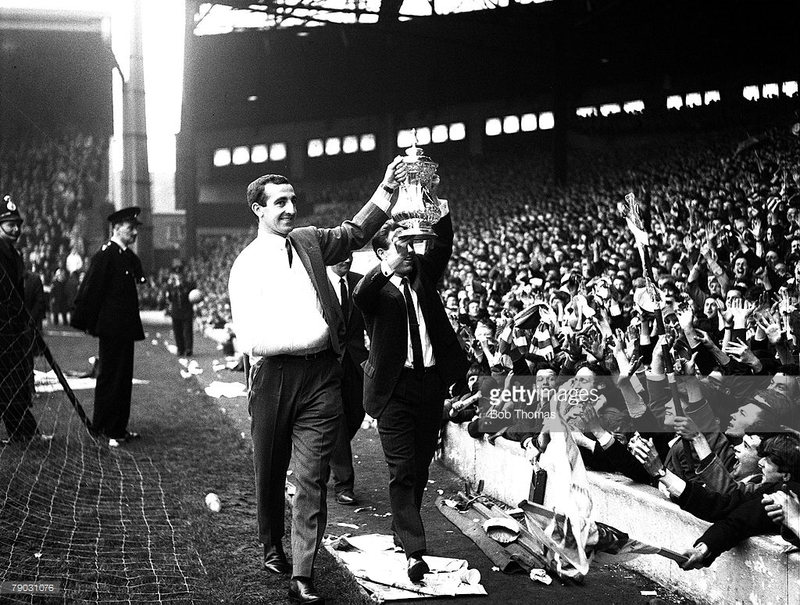 Liverpool had never won the cup, a fact that Evertonians had gleefully lauded over the red half of the city. Every time a Liverpudlian would try to give a blue stick, the response was always “come back when you’ve won the FA cup”. Supporters who followed the team back then will tell you that the FA Cup was the most prized trophy in the English game. Everyone connected with the club was desperate to win it. Liverpool born Gerry Byrne will have been acutely aware of this. He will have been desperate to play in the Final against Leeds and even more determined to bring the cup home. Of course Liverpool went on to win the game, but what happened in that match is now part of Liverpool folklore. The heroism of Gerry Byrne will be spoken of for as long as the club exists. Early in the game he was injured in a crunching tackle. Back then substitutes weren’t allowed. Even in the old videos of the game his pain is clear. Bob Paisley, then the clubs trainer, came to his aid and delivered the heartbreaking news that Byrne had broken his collar bone. “Gerry it’s broke,” he is reported to have said. Byrne just got up and replied “I’ll get by Bob.” He went on to finish the game and got his hands on the clubs first ever FA cup. He would later parade the cup around Anfield, with one arm in a sling and the other clutching the famous trophy. 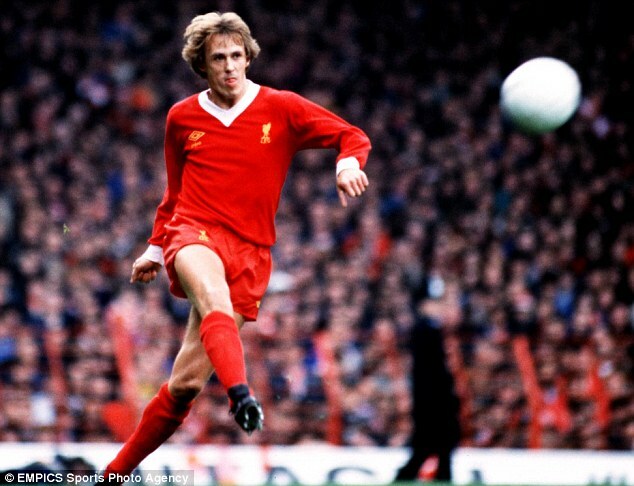 Phil Neal managed 650 appearances for The Reds. He was an ever present for nine consecutive seasons, racking up 417 games without interruption. His record was ended in 1983 when he was forced to miss three games due to injury, but returned and played another 127 games on the run. He is the clubs most decorated player and competed in five European Cup finals and a UEFA Cup Final, only finishing one of them on the losing side. Neal played in arguably the most successful and dominant Liverpool side of all time. The team rarely changed and if you lost your place for any reason, you faced real battle to win it back. Phil was acutely aware of this and so desperate was he to play for The Reds, he actually played with a fractured cheek bone on one occasion and a broken toe on the other. In the case of the latter injury he played on for six weeks by wearing a bigger boot on the affected foot. Ronnie Moran fashioned a plaster cast for his toe and Neal never missed a days training. Daniel Sturridge take note this is the very definition of mental toughness. Shankly’s ideal Liverpool player was one who would run through a brick wall for him and come out fighting on the other side. Ian St John fit the bill perfectly. I never saw him play, but my most vivid memory of St John as a player is based on watching an old VHS tape in which he was interviewed. The picture was grainy and monochrome. He was, I think, stood on the pitch in front of an empty Kop. He was talking about his bond with the supporters and his belief in their undying loyalty to him and the team. “I would fight and die for them,” he said with steely passion in his eyes, before going on “and I know they would fight an die for me.” His words sent shivers down my spine. This, after all, is a game of football we are talking about, yet this man was prepared to give everything in the service of the team and the supporters. ‘The Saint’, as he was affectionately known, was anything but. He was no stranger to fisty-cuffs on or off the pitch. 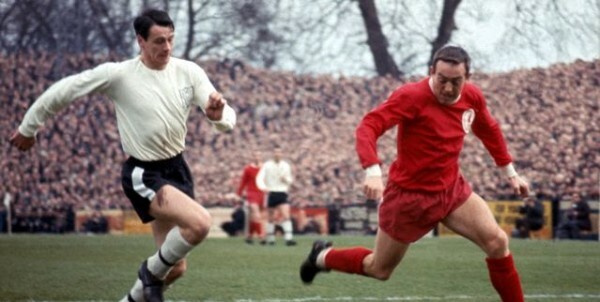 He was a fierce competitor and weighed in with 425 appearances for Liverpool, winning four major honours. His bond with Liverpool Football Club remains unbroken and he is a regular at Anfield. How we could do with his commitment and steel today. 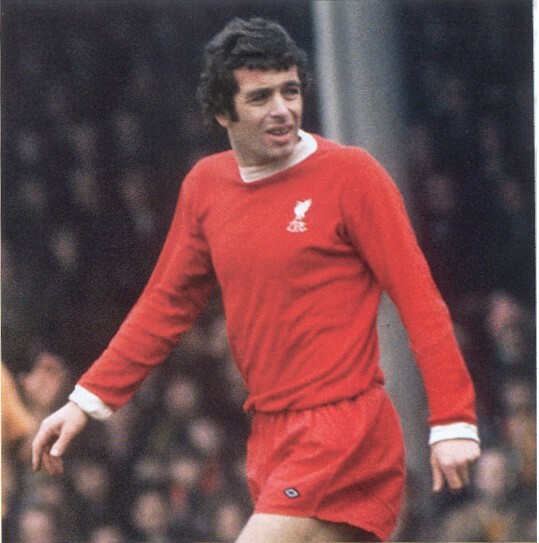 From 1960 to 1978 Callaghan amassed a total of 857 appearances for Liverpool. It is obviously a club record and will, in all probability never be bettered. During his time Ian won 12 major honours and was crowned ‘Footballer of The Year’ in 1974, by the Football Writers Association. His assist for St John, who scored the winning goal in the 65 FA Cup final will go down in the annals of Liverpool history. He described the game as the greatest day of his life. Modern day Reds dream of a team of Carraghers, but Shankly famously said he dreamt of 11 Callaghans on the team sheet. After a knee operation he briefly lost his place on the right to Brian Hall, but came back and redefined himself as a central midfielder. A move that extended his career another seven years. 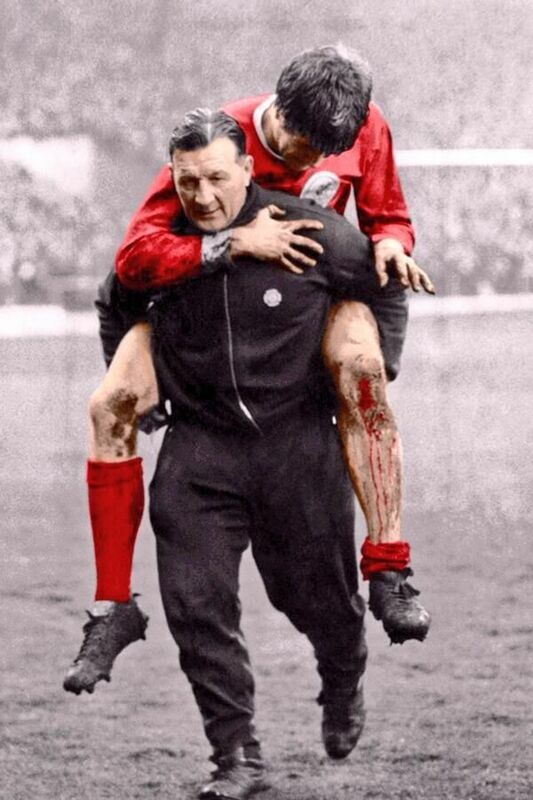 Callaghan deserves to be lauded by Liverpool fans of all generations. He is a tremendous servant of the club, a man who gave everything and left nothing on the pitch. He played like a fan on the pitch and treasured his time in a red shirt.